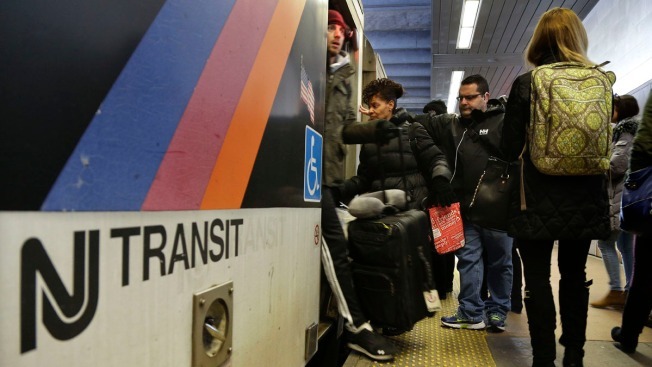 A $46 million budget gap won't require New Jersey Transit to raise fares or cut staff or services and will be closed before the current fiscal year ends in two weeks, officials said Wednesday. Details of NJ Transit's proposed operating budget and capital plan for the upcoming fiscal year were presented at a board committee meeting. The gap was created by a one-time payment of roughly $54 million in retroactive pay to bus workers under terms of an agreement reached last year. NJ Transit interim executive director Dennis Martin said the agency expects to shrink the gap before the end of the month and use cash reserves to cover whatever remains. The proposed $2.1 billion operating budget for fiscal 2017 is about $4 million under the agency's budget for the current fiscal year, and Martin credited some of that to savings on parts and fuel from the introduction of newer, fuel-efficient buses. "I don't know of any other time in our history that our operating budget is actually lower than the year before," he said. In announcing a tentative agreement with rail unions in March, Republican Gov. Chris Christie promised there would be no fare increases at least until the end of the fiscal year on June 30, 2017. That was welcome news for commuters who have endured five fare hikes since 2002. Last year NJ Transit increased bus and rail fares an average of 9 percent as it sought to close an estimated $60 million budget gap. The rail agreement remains a thorny issue for the agency. Two of 11 rail worker unions have yet to ratify the agreement Christie announced in March. Martin said last week negotiations are continuing and a resolution is anticipated. NJ Transit's proposed $1.7 billion capital plan for fiscal 2017 includes $554 million from the soon-to-be-depleted state Transportation Trust Fund, which lawmakers are trying to fix before the fund's borrowing authorization expires at the end of the month. State transportation officials have estimated the fund will run out of cash by early August. The capital plan includes $200 million for track, bridge and signal improvements; $105 million for improvements to railcars and locomotives; $64 million for improvements to rail stations including Elizabeth, Bloomfield, Perth Amboy and Cranford, and $186 million for bus and light-rail infrastructure improvements.